Where a few minutes beforehand the atmosphere had been lively and abuzz, you could suddenly hear a pin drop. 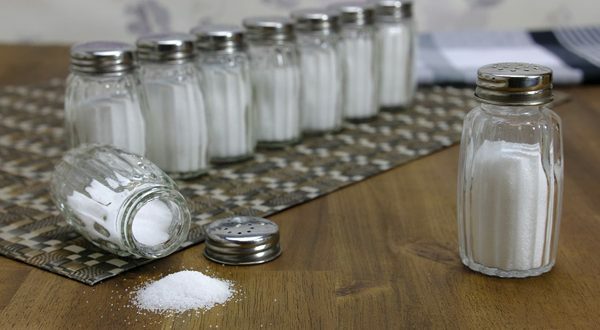 A few participants rocked nervously from one foot to the other. And you could even see the tension on the faces of the otherwise so cool Scandinavians. Then finally the big moment came: the jury announced the winners of the Villeroy & Boch Culinary World Cup on 29th November 2018. 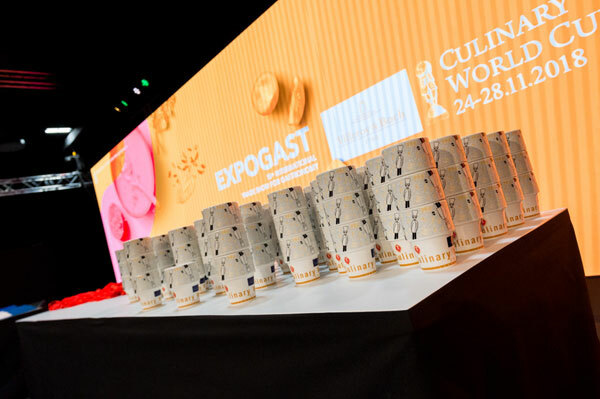 This internationally renowned cooking competition was held during Expogast, the trade fair for gastronomy that takes place every four years in Luxembourg – and this culinary contest is regarded as one of the most important in the world. This year it was once again characterised by passion, creativity and first-class cuisine. More than 2,000 chefs, pastry chefs and chocolatiers showcased their skills par excellence for five days. 15 youth and 30 national teams competed against each other in various categories. 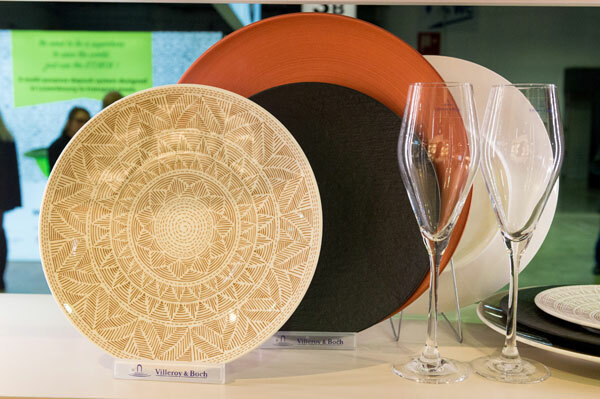 Their creations were served on plates from the Blossom and Stella Vogue collections designed by Villeroy & Boch, the title sponsor of the event. As a long-standing partner, the company has been supporting this industry event since 1972. 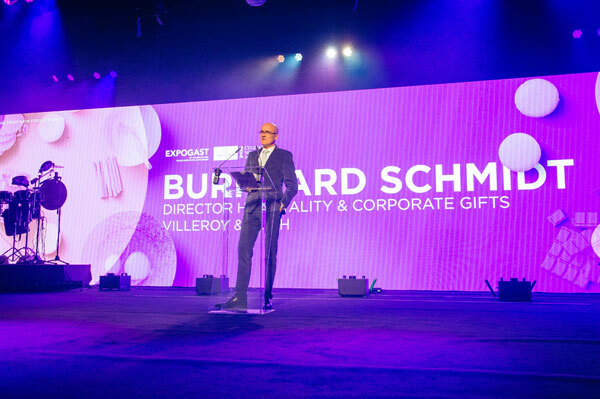 “We have really been looking forward to discovering new culinary trends from around the world and to admiring the masterpieces created by the participants on our plates,” Nicolas Luc Villeroy, Director of the Tableware Division at Villeroy & Boch, emphasised. In the end, the team from Denmark came third and Finland second in the Community Catering discipline. First prize went to Sweden. 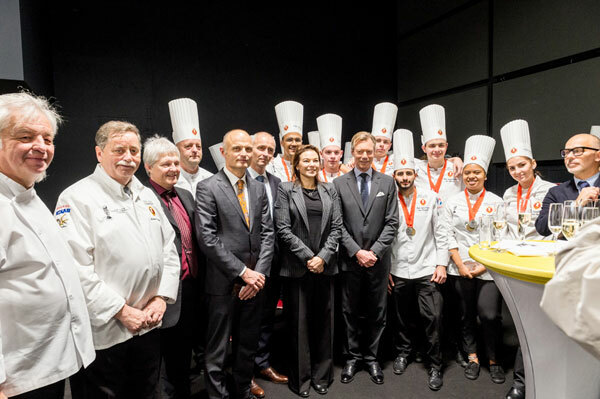 The Swedes also did well in the Regional Teams category, where the Stockholm Culinary Team finished best. Furthermore, the regional team from Lucerne made second place and the Brits won bronze. The Scandinavian national teams were also ahead by a nose. Here it was Norway who gained third place. The team from Singapore came second and they were the only non-European team that managed to get onto the winners’ podium in the team competitions. 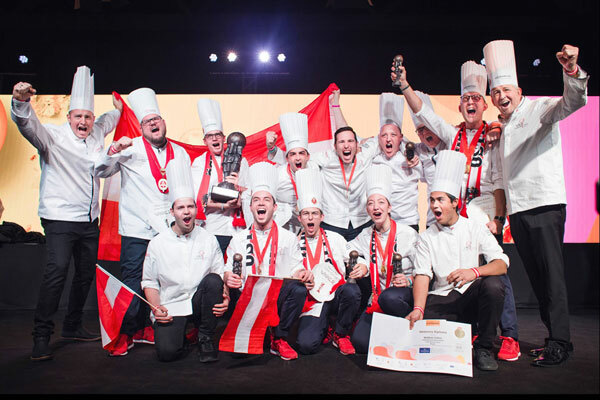 First place went to Sweden, who have been impressing with their excellent work not only since this year’s Villeroy & Boch Culinary World Cup. Austria clinched the title in the Junior competition. The young talents from Switzerland were the runner-ups, followed by the team from Norway. “I congratulate the great professionalism of the cooks who took part in the competitions. 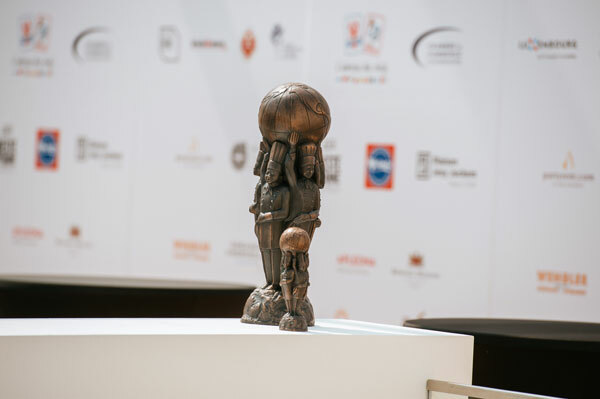 Their level of mastery and executions increases year after year, a guarantee of the importance given by the profession to our competition,” Aloyse Jacoby, the President of the Jury, praised the participants. The celebratory closing ceremony then turned into a regal affair. Grand Duke Henri of Luxembourg insisted, along with Michael von Boch, on congratulating all of the winning teams in person. 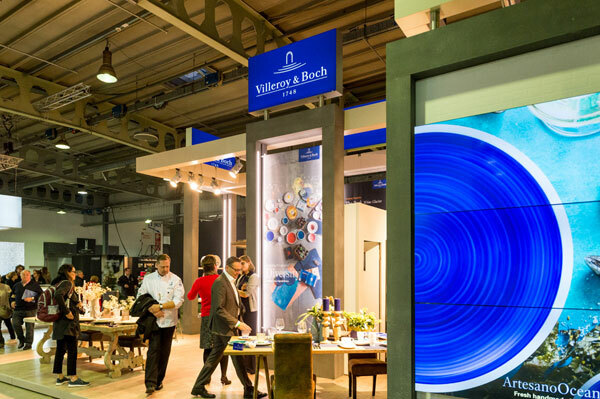 The Chairman of the Villeroy & Boch Family Council, the family business founded in 1748, as well as Henri von Nassau presented the coveted prize trophies to the crème de la crème.